Choose a wire basket dog muzzle that allows dog breathe and pant free. 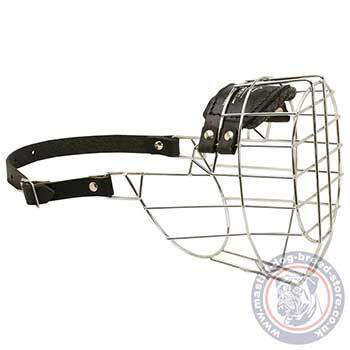 Cane Corso muzzle is made of strong wire basket for a big mastiff dog. 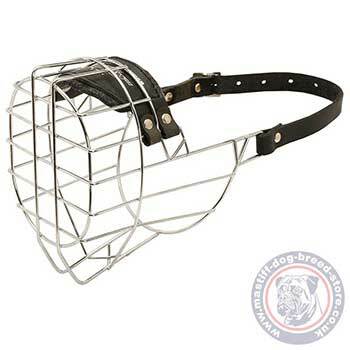 It is a special wire dog muzzle with an individual shape for Cane Corso dog breed snout shape and size. 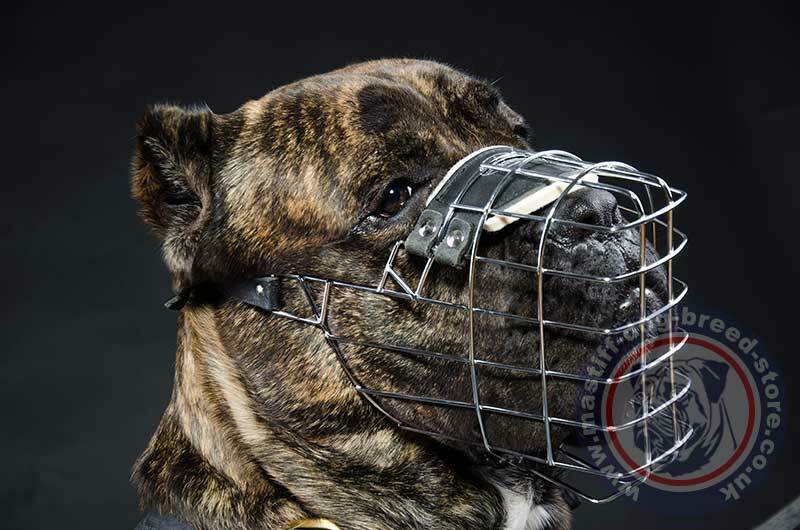 Our basket dog muzzles are carefully designed in several shapes and sizes to fit each dog maximum comfortably and safely. That's why it is very important for our specialists to get all the sizes of a dog snout. 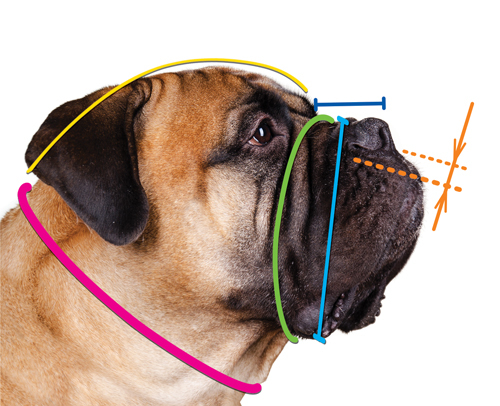 Measure your dog according to the instruction below and fill in all the options required. 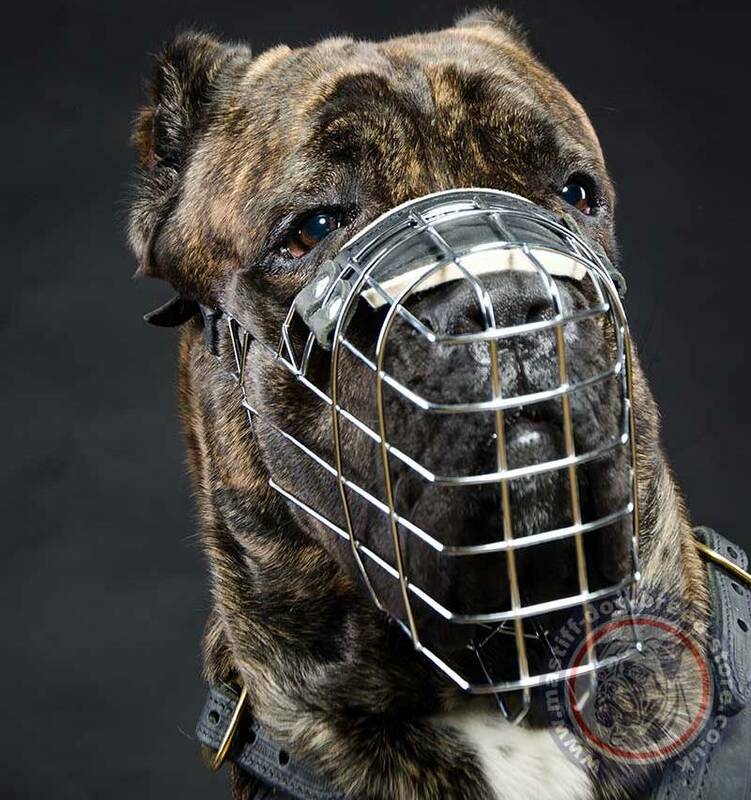 Cane Corso dog muzzle is perfectly ventilated. The basket does not rub dog nose. It is padded with soft felt and leather lining at the top snout area. Strong dog muzzle for Cane Corso mastiff is reliably fixed with natural leather wide straps with a buckle. You may choose a classic buckle or a quick-release buckle option. The muzzle in your order may vary in shape and size from the picture, as it depends on individual sizes of your dog filled in your order.